One of the core values at the Mason Street City Farm is that access to healthy food is a basic human right. No one should suffer from lack of food based on social inequities. We want to change this imbalance in our food system by providing low income and marginalized communities increased access to the skills needed to grow their own food. In order to do this, we need to provide jobs! We are not going to change the injustice in our current food system if we don’t change who has access to the knowledge and skills to build a community food system that includes everyone. grow healthy food where people live. 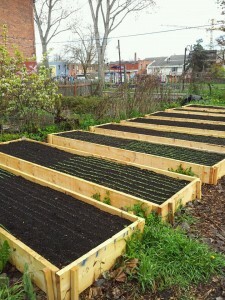 BUILDING SOIL, BUILDIING COMMUNITY! increase access to healthy food by offering practical ecological farming education which in turn will provide skills for the future and a pathway to self reliance EDUCATION THROUGH CULTIVATION! combine new technologies and innovative design practices with tried and true ecological farming techniques to create an appropriate model of an urban community food system. seek to provide legitimate solutions to meet today’s social, economic and environmental food security challenges. Continue to build upon the success of our model and develop a green job and urban agriculture training and resource centre. Be an active member in a growing green economy in Victoria BC by continuing to build our community partnerships and relationships with community stakeholders.